► Correia v. McDonald, 28 Vet. App. 158 (2016): This case provides a precedent interpretation of the final sentence of 38 C.F.R. § 4.59, which reads: “The joints involved should be tested for pain on both active and passive motion, in weight-bearing and nonweight- bearing and, if possible, with the range of the opposite undamaged joint.” Specifically, the CAVC held that the final sentence of § 4.59 creates a requirement that certain range of motion testing be conducted whenever possible in cases of joint disabilities. The CAVC also stated that to be adequate, a VA examination of the joints must, wherever possible, include the results of the range of motion testing described in the final sentence of § 4.59. The CAVC provided two qualifications to this requirement. First, this holding requires the range of motion testing listed in the final sentence of § 4.59 in every case in which those tests can be conducted. The CAVC specifically found that it was not competent to determine whether upper extremities are or can be weight-bearing, though it did find that knees were “undoubtedly weight-bearing.” In a later footnote, the CAVC left it to medical professionals to determine whether the listed range of motion testing can be performed on the joints at issue in a particular case. Second, range of motion testing of the opposite joint does not apply for joints that do not have an opposite or whose opposite is also damaged. While the CAVC did not define “damaged” for these purposes, it noted that both of the appellant’s knees were “damaged.” The record showed that the appellant had knee diagnoses that included both traumatic arthritis and degenerative joint disease. This case is significant because the holding establishes additional requirements that must be met prior to finding that a VA examination is adequate. Any of the above areas of testing can be omitted if the medical professional conducting the examination states that it is not possible to perform the testing, and clearly explains why. Otherwise, VA musculoskeletal examinations that do not contain the necessary active motion, passive motion, weight-bearing information, and nonweight-bearing information are likely to be inadequate under Correia and may require remand for a new examination. ► Johnson v. McDonald, 27 Vet. App. 497 (2016): In this case, the Board denied a rating in excess of 10 percent for a skin condition under 38 C.F.R. § 4.118, Diagnostic Code 7806. The Board found that the appellant did not meet the criteria for a higher rating, in part, because treatment for his skin disorder had not included systemic therapy for a duration of 6 weeks or more during any 12 month period. While the appellant had used topical corticosteroids constantly for 12 months, the Board did not find this treatment to be systemic therapy. The CAVC determined that the language of Diagnostic Code 7806 is unambiguous: “the diagnostic code explicitly mentions corticosteroids as an example of ‘systemic therapy’ and does not further distinguish between different types of corticosteroid application.” The language in the criteria for a 60 percent rating provides that corticosteroids constitute systemic therapy without any limitation as to application, and the Board improperly added criteria not included in the rating schedule when it required systemic therapy to be more than topical. The CAVC found that the “topical therapy” identified in the noncompensable rating criteria necessarily referred to “non-corticosteroid” topical treatment. As such, the CAVC reversed the Board’s holding, and found that the appellant’s therapy was systemic. This case is significant because any appellant using topical corticosteroids constantly or near-constantly to treat a service-connected skin disorder may now be entitled to the substantially higher 60 percent rating. Notably, this decision has resulted in a proposed regulation change that, inter alia, clarifies that systemic therapy is treatment administered through any route other than the skin (such as orally, intranasally, or via injection) and topical therapy is treatment administered through the skin. Further, the CAVC has granted a motion to stay the precedential effect of this case (except as to claimants that qualify for expedited proceedings) pending the Secretary’s appeal to the Federal Circuit. ► Gagne v. McDonald, 27 Vet. App. 397 (2015): In this matter, the Board determined that VA had satisfied the duty to assist despite declining to submit requests to verify the appellant’s alleged PTSD stressors, where the appellant failed to provide a 60-day time window for the occurrence of the stressor so that VA could submit the request to the United States Army Joint Services Records Research Center (JSRRC). The appellant argued that, in light of the information in his service record and the nature of the incident to be researched (the death of a service member between August 1967 and August 1968), he presented sufficient information for Veterans Affairs to submit a verification request to the JSRRC. He also argued that despite his inability to narrow the timeframe of the alleged stressor to a specific 60 day window, it was reasonable that VA should submit multiple requests sufficient to cover the entire time period identified. This case is significant because VA’s duty to assist is not bound by the JSRRC’s 60-day requirement, and the fact that multiple record searches may burden JSRRC employees does not make those efforts futile. Based on the facts of this case, it is not unreasonable to require VA to submit multiple 60-day inquiries to the JSRRC sufficient to address the entire 13-month period of time identified by an appellant. As a result of this case, VBA now handles searches of periods greater than 60 days by submitting sequential requests until the entire relevant period is covered. These sequential requests require additional time for development. ► Yancy v. McDonald, 27 Vet. App. 484 (2016): The CAVC vacated and remanded an August 2014 Board decision that, in pertinent part, denied entitlement to an increased rating in excess of 30 percent for bilateral pes planus, and denied entitlement to separate initial compensable ratings under two other foot DCs. In doing so, the CAVC addressed interplay of the first two elements set forth in Thun v. Peake, 22 Vet. App. 111 ( 2008); and, the application of the combined effects analysis set forth in Johnson v. McDonald, 762 F.3d 1362 (Fed. Cir. 2014). The CAVC explained the effect of Johnson and its application to the analysis set forth in Thun. The CAVC found that Johnson does not change the longstanding principle that the issue of whether referral for extraschedular consideration is warranted must be argued by the appellant or reasonably raised by the record. The CAVC pointed to the language in Johnson: “referral for extra-schedular evaluation may be based on the collective impact of [a] veteran’s disabilities.” Johnson, 762 F.3d at 1365 (emphasis added). Therefore, the CAVC held that the Board is required to address whether referral for extraschedular consideration is warranted for an appellant’s disabilities on a collective basis only when that issue is argued by the appellant or reasonably raised by the record through evidence of the collective impact of the appellant’s service-connected disabilities. See, e.g., Thun, 22 Vet. App. at 115; Robinson v.
►Peake, 21 Vet. App. 545, 552 (2008). The CAVC further determined that nothing in Johnson changes the Board’s obligation to conduct the Thun three-part analysis. This case is significant because the CAVC determined that Johnson does not alter the Board’s jurisdiction over individual schedular or extraschedular ratings. Although the Board must consider any combined effects resulting from all of an appellant’s service-connected disabilities insofar as they impact the disability picture of those disabilities in appellate status, it lacks jurisdiction to consider whether referral is warranted solely for any disability or combination of disabilities that is not in appellate status, just as it lacks jurisdiction to examine the proper schedular rating for a disability not on appeal. ► Robinson v. McDonald, 28 Vet. App. 178 (2016): By statute, review in the CAVC “shall be on the record of proceedings before the Secretary and the Board.” 38 U.S.C. § 7252(b). As the custodian of the records of appellants’ claims, the Secretary has been charged with the duty of assembling the record before the agency (RBA) and serving a copy on the appellant. In this particular case, as the appellant’s original paper claims file had been scanned into an electronic database prior to the Board’s decision, the Secretary assembled an RBA from the appellant’s electronic file. On appeal, the appellant contended that some pages of the pre-scan record were missing from the RBA, and demanded the opportunity to review the paper documents. During the appeal, the Secretary explained that while some of the original paper source materials may still exist, those records do not constitute the claims file and are now considered duplicates or non-records. It was noted that the scanning of the paper documents for conversion into the electronic claims folder was completed by a third-party vendor utilizing quality control processes such that, on average, the likelihood of a paper document being accurately reproduced meets or exceeds 99 percent. Further, as a result of the quality control processes utilized by contract scanning vendors, the paper documents pertaining to the appellant were separated, digitized, sorted separately, and slated for destruction pursuant to VA’s internal procedures. 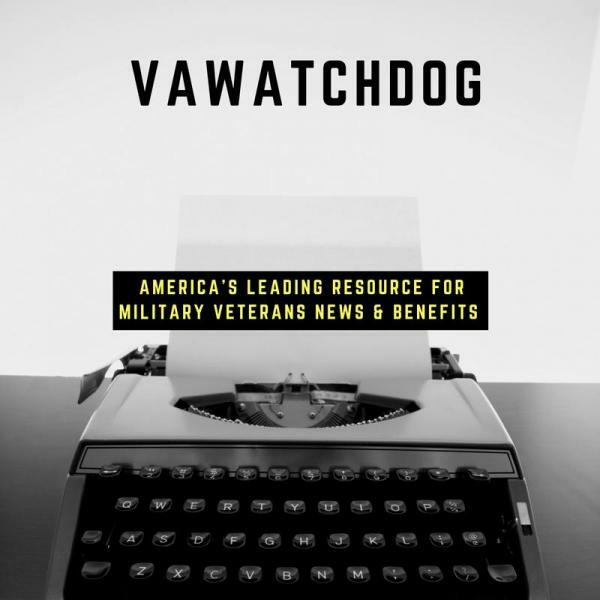 The CAVC found that VA had to provide access to the original paper records that were part of the record of proceedings before the agency. Under the CAVC’s Rule 10 (governing the RBA), the Secretary is required to provide an appellant inspection access to the “original material” before Veterans Affairs; the CAVC held that the plain meaning of that term encompassed the original paper records that had not been destroyed. The CAVC acknowledged the Federal Records Act (FRA) (44 U.S.C. Ch. 33), which includes a provision that certain digital records have the same effect as the original paper, but ultimately found thatVA had noy shown how this provision was triggered by its digitization process, without reaching any conclusions as to whether VA practices comported with the FRA. This case is significant because, with respect to claims that were processed with a paper claims file, it may require VA to maintain the paper file after all of the documents contained in the file have been uploaded into the electronic database VA uses for processing claims. BVA No 09-48865 Entitlement to service connection for an acquired psychiatric disorder, to include schizophrenia, depression, and post-traumatic stress disorder (PTSD).